Welcome to ABFE: A Philanthropic Partnership for Black Communities! We are a network of professionals who are concerned with the health and wellbeing of Black people in communities across our country regardless of age, gender, or sexual orientation. ABFE is dedicated to using philanthropy – in all its forms of time, talent, and treasure – as a vehicle for systemic change. We leverage our network and all resources at our disposal to shed light on the root causes of the disparities that continue to besiege our communities and to lift up the many assets and leaders striving for better outcomes for children and families now and in the future. I invite you to explore one of our tools, abfe.org, to learn more about the intersection of philanthropy and Black communities where you will find: useful data, reports, and information; promising philanthropic practices; examples of Black leadership in the field and community; and resources to further professional strategies and personal goals that ultimately empower Black communities. Explore the Knowledge Center where you can access over 4,000 reports, white papers and other materials on a broad range of topics that intersect with Black people and communities. Search for opportunities to move to the next level in our Career Center. Access Black Fact Sheets to gain insight on the wellbeing of Black people on an array of social and economic indicators. Keep up with ABFE’s and other worthwhile happenings in the field on our Events page. 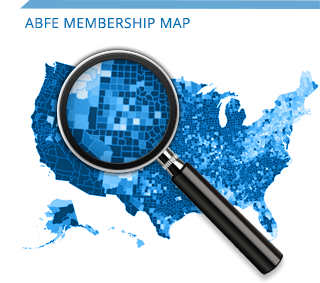 Get to know the team at ABFE and discover who is leading the organization at the board level on the About Us page. Thank you for joining us in this work of promoting effective and responsive philanthropy in Black communities. Susan appeared as a guest on WBEZ radio (Chicago) to discuss diversity and governance for an investigative report on The Catholic Archdiocese of Chicago. Listen to the report and Susan’s interview.